Back in the day when I still had faith in the world and thought that maybe, just maybe, we will be okay in the end, I read this book. 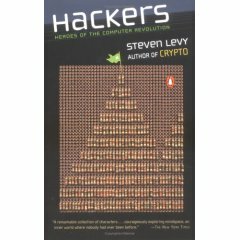 This book by Steven Levy called: Hackers: Heroes of the computer revolution. The book basically guides you through the history from the first pioneers to today’s computer systems. It’s a well written piece of literature and very inspiring (at least for someone even remotely interested in technology or history). I would like to take this moment to recommend anyone who is looking for a little inspiration to give it a go. It isn’t terribly long in any way and it really is a good read. 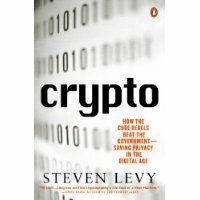 Steven Levy have written more books, for instance: Crypto: How the Code Rebels Beat the Government Saving Privacy in the Digital Age. Learn the true meaning of the word hacker.